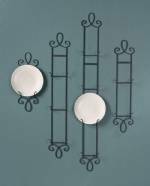 Black iron wire plate racks. 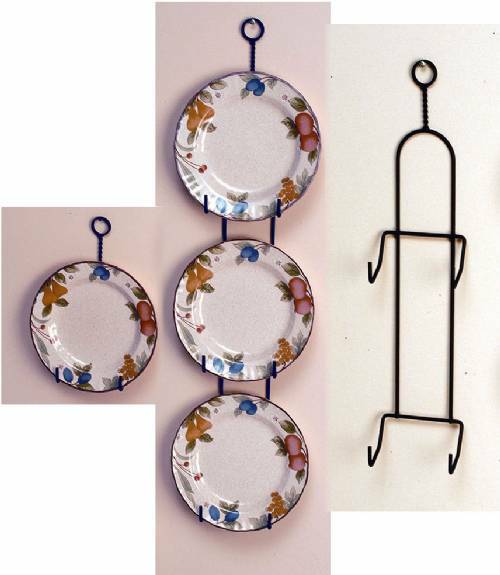 These plate holders holds 7" - 9" diameter plates. 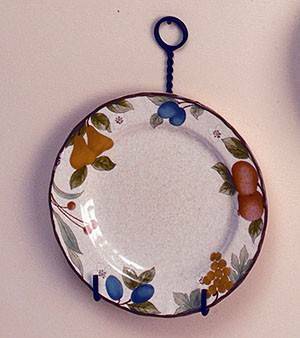 Easy to hang with simple nails or screws (not included).